The three-time grand slam winner had a hip resurfacing operation in January as he attempts to overcome a problem that first surfaced in the summer of 2017. 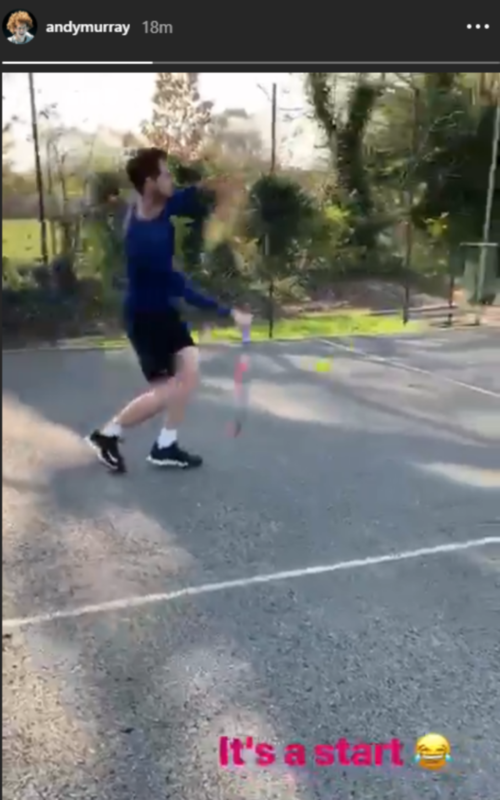 And on Monday night, the 31-year-old shared a short clip on his Instagram Story of him hitting forehands and backhands against a wall, with the caption 'It's a start'. Murray had a first operation in January 2018 and returned to action at Queen's Club last summer but played only six tournaments last season and was in pain throughout.